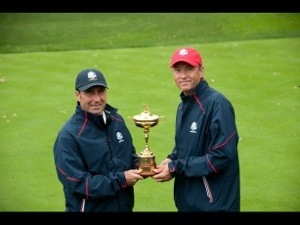 Waddell Realty’s Coaching Program helps agents compete in their own Ryder Cup, year round. 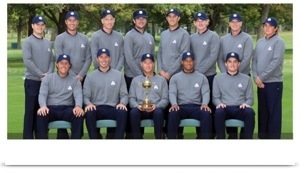 This week begins the 39th Ryder Cup, which is being played on U.S. soil at the Medinah Country Club in Illinois. 12 of Europe’s Best Golfers will compete against 12 of The United States’ Best Golfers. Before the 12 representatives are selected, a Captain (Coach) is chosen. Who will lead Europe to another Victory? Who can defend U.S. Soil? Many questions like these have been debated all year and will unfold before the world this week. The Captain is a Veteran, former Team Member, well respected by the industry and his players, and always a contender in the Majors. He has fought in the trenches, seen opportunity when no one else did, disciplines his disappointments, and his mere presence will rattle the nerves of the inexperienced. Most importantly, you can trust your coach or captain, because they’ve been there before. Click here to learn more about Waddell Realty’s Coaching Program and how you can bring home the Cup each month. ← How Do You Hire The Right Real Estate Agent?